How can a leaf become a fish? Join two young children and two adults to find out, as they observe life in and around a stream. Energetic collage art and simple, lyrical text depict the ways plants and animals are connected in the food web. 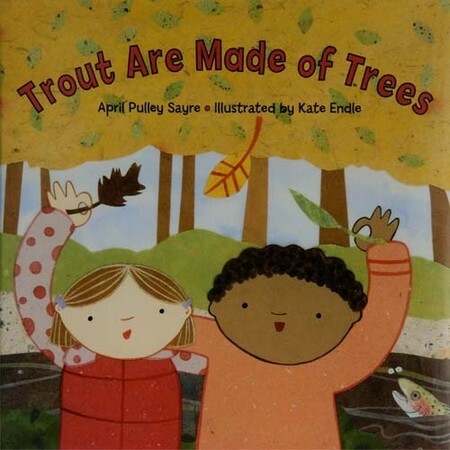 Back matter provides information about the trout life cycle as well as conservation efforts that kids can do themselves. It’s a natural choice for Earth Day. 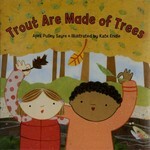 This book would be a great tie-in to Trout, Trout, Trout, a Fish Chant. See below for instructions on entering the contest related to this book. Nominated for a 2011 Grand Canyon Reader Award!